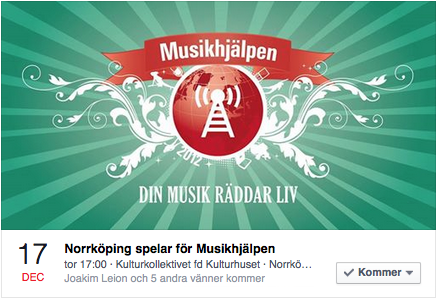 And We Should Die Of That Roar will perform at this year's fund raising event Musikhjälpen. In 2015 it's all about climate and human impact on environment so make sure to be there and show your support for this important cause!!! New album WHERE WE LAY OUR BONES out now!!! Picks up his guitar starts singing - even the experts are in shock!!! Music video for Blood On Our Hands released! New ghastly single "Blood On Our Hands" OUT NOW! And We Should Die Of That Roar picked for "Local Up And Comer Of The year"
And We Should Die Of That Roar gets editor's pick for Best New Music at HYMN Music Magazine. New EP Sense Woven Spells is out now!!! And We Should Die Of That Roar to release a self-titled debut album!! !